Welcome to this latest edition of the eConnection, where we hope you’ll take some time to reflect on your own experiences (past, present and future) with SIUE. As an alumnus of this great University, these first six months as Chancellor have been a wonderful walk down Memory Lane as I reconnect with faculty from the past and learn more about all that has happened since my time as a student here. And that encompasses a LOT! All of these achievements have occurred during a time of financial uncertainty and, yet, Cougar Pride is alive and well. I recently participated in a High Impact Community Engagement Practices (HICEPs) activity which has been a focus of mine for over a decade. Approximately 50 individuals from the Midwest provided health assessments and constructed facilities for the impoverished in Costa Rica. Our School of Dental Medicine did some advanced “scouting” this year in anticipation of SIUE students travelling to Costa Rica in 2018. 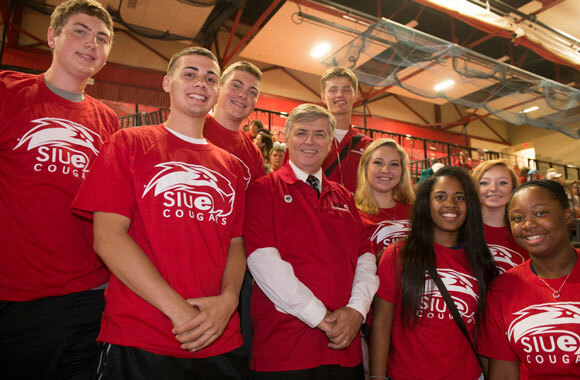 It is possible that SIUE students from nursing and construction management may also contribute in the future. I know that by working together, we will continue to surmount obstacles and achieve many incredible goals at SIUE in 2017.